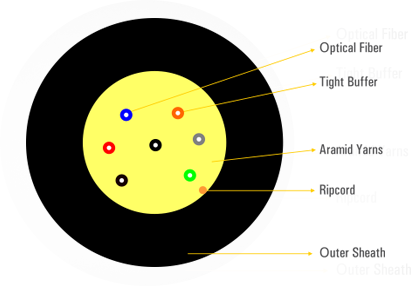 Armouring is a technique to protect the optic fiber cables. 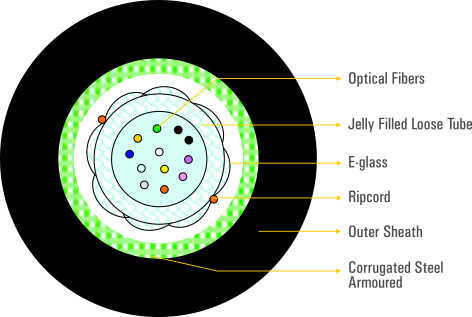 D-Link Armoured Optic Fiber Cables are protected by Glass-yarn in between corrugated Steel tape & loose -tube. This cable offers excellent protection from moisture. Comply to latest industry standards i.e IEC, ITU, ISO. In Tight Buffered OFC the buffer is the first layer of protection surrounding the optical fiber, the bare fiber is put into this buffer tube. 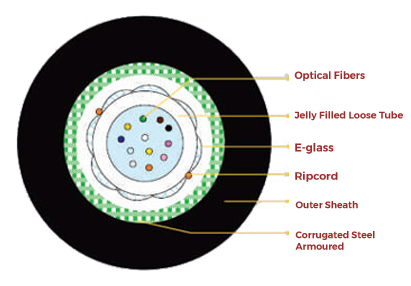 A tight buffer fiber optic cable means the optical fiber’s coating diameter is same as the buffer tube’s inner diameter. D-Link's Tight Buffered Cable cables improves reliability and terminations are faster. D-Link OM4 Fiber is laser-optimized, high bandwidth 50um multimode fiber protected by Glass-yarn in between corrugated Steel tape & loose -tube. This cable offers excellent protection from moisture ,water and physical environment. Comply to latest industry standards i.e IEC,ITU,ISO.